iPhone and iPod touch software, games, toys, calculators and web applications by Kudit: In the kitchen, or at the grocery; a cook's best friend. 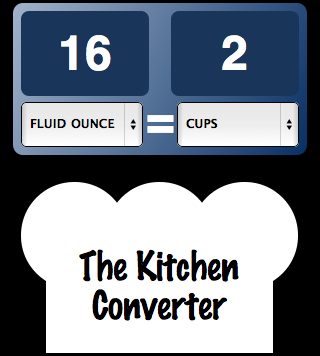 Kudit is proud to announce the Kitchen Converter calculator. Converts drops, dash, pinch, milliliters/cc, fluid dram, teaspoon, tablespoon, fluid ounce, cups, pint, quarts, liters, and gallons in a nice easy to read format.